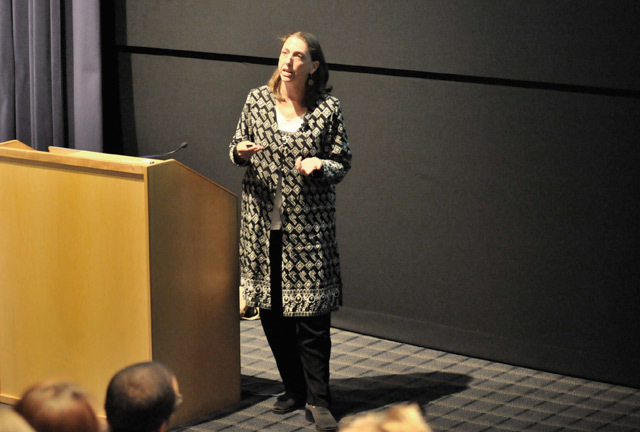 Lori Gruen makes introductory remarks at the “Protecting Great Apes: How Science and Ethics Contribute to Conservation" symposium April 22. 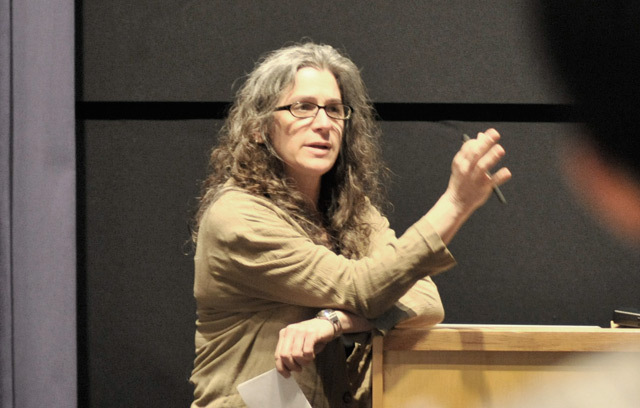 Gruen, chair and associate professor of philosophy, associate professor of environmental studies, associate professor of feminist, gender and sexuality studies, organized the event. She also is teaching a course this semester titled “Primate Encounters” and has published a book on ethics and animals. 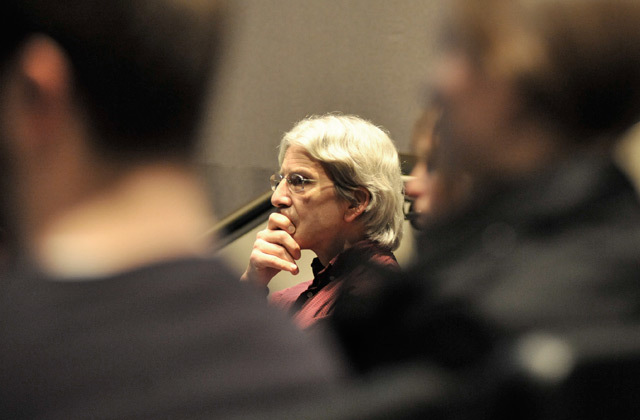 “Protecting Great Apes” is the second annual Lauren B. Dachs Chair in Science and Society Symposium. 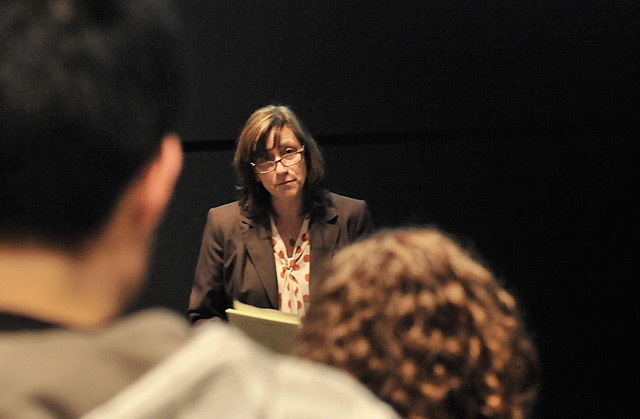 Professor Laura Grabel, pictured, of the Biology Department currently holds the chair. The subject of the first symposium was stem cell research. 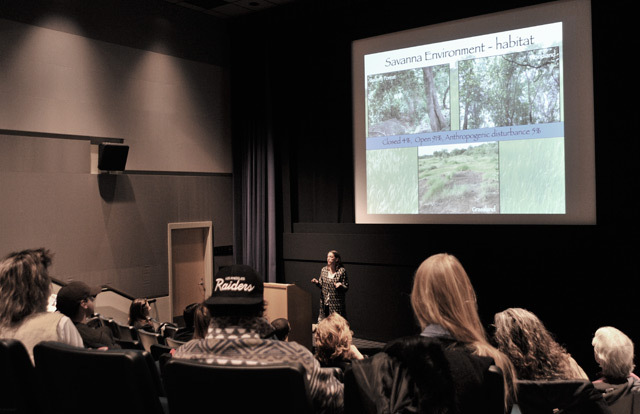 Jill Pruetz, an anthropologist at Iowa State University, speaks on “Chimpanzee Behavior and Conservation in Senegal: The Human Element." Scholars, researchers and experts from Washington University in St. Louis, Duke University, the Wildlife Conservation Society and Chimp Haven, a chimpanzee sanctuary in Louisiana, also made presentations. They addressing several aspects of human-ape interaction in the U.S. and Africa. 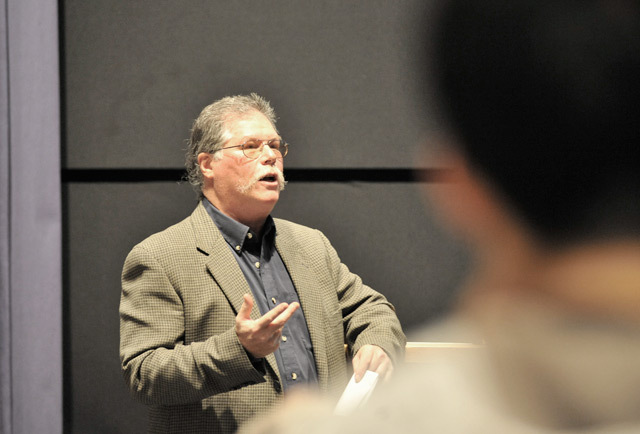 Barry Chernoff, director of the College of the Environment, the Robert Schumann Professor of Environmental Studies, professor of biology, professor and chair of environmental studies, welcomes guests to the symposium.